The Summer of Make, Play, Learn has begun at #clmooc ! We’re introducing ourselves with avatars and inspiring each other to try something. In my writing classroom, making avatars and pseudonyms are one of our first goals: creating an avatar that fits our goals and personalities since we don’t use photos or our real names. And in #clmooc, we’re creating spontaneous avatars. 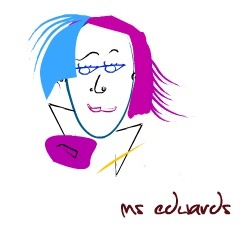 At left you see me, Ms Edwards, in a picasohead [ Make one here ]. I’m modern and fun, with a keen eye for critical and creative thinking, using my artist’s palette for choosing just the write words to color my ideas. See how much fun it is? What would your avatar be? Edublogs make some suggestions here. 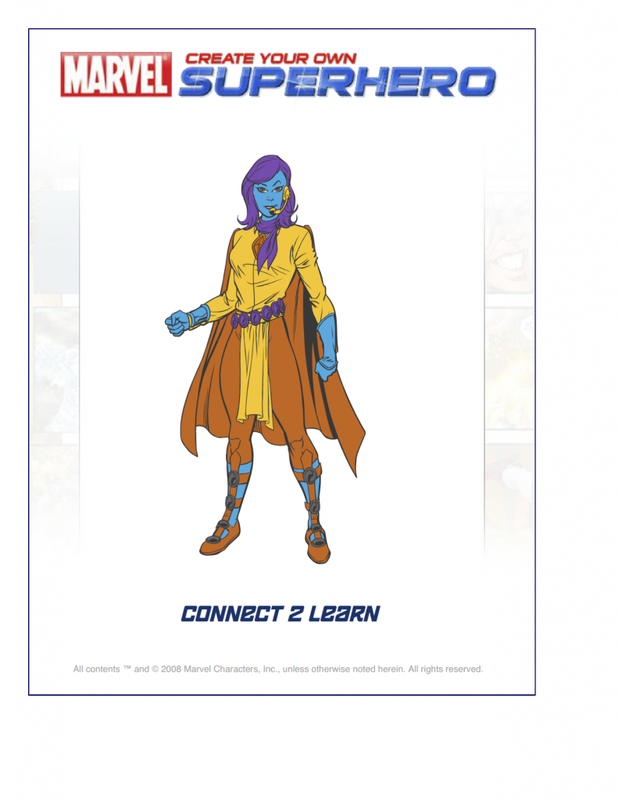 In the #clmooc community, we are inspiring each other with Marvel Comic Creator. This is an example of how we share our ideas and use them to remix the idea for our own needs. It’s just the beginning of a summer of fun and learning, connecting and collaborating. As you can see, I’m an environmental water person, collaborating with others to save the world as my colleagues and I connect and create together, ready to add color and creativity to any situation, as my sunflower colors indicate. So, join us — we need your inspiration too!